Mr. Prevention and I are creatures of habit. I have to assume most couples are, especially as the years pass by. But even if you really, really, really, REALLY love your job…you probably love your weekends a little bit more. I do, at least. That much I know. I mean, this time last week I was eating a breakfast in Mexico where I didn’t have to make my usual Monday decisions like what to wear to work, if those heels will be as unkind to my feet as the last time I wore them, if I should eat breakfast at home or at work, if I should switch to decaf after cup #1 of coffee, should I wear my hair curly or straight, do I need to pack a gym bag, or should I take the highway or side streets to work? No, last week Monday, my decisions were very much so win-win. Should I go to the pool now…or later? Should I take my People magazine, my novel, or both? And breakfast? No decisions to be made there. Mexican breakfasts are both sweet…and savory. Mhmm. 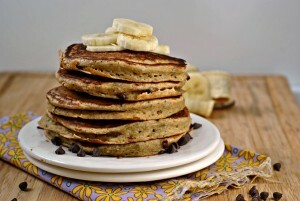 I could have butterscotch papaya pancakes and refried beans and quesadillas for breakfast. Heckyes. 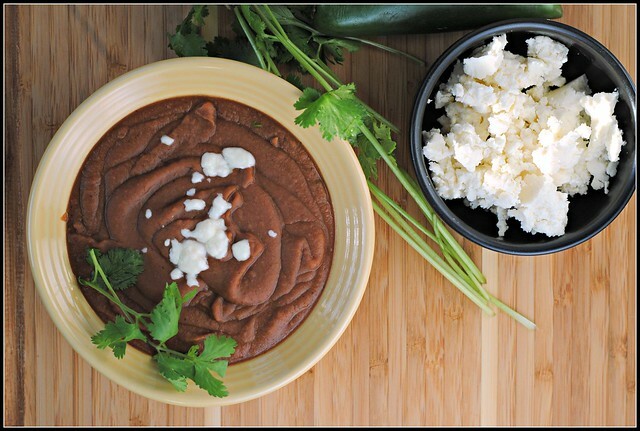 I grew up eating refried beans…from a can. I dieted eating refried beans…from a can. They resemble putty, unlike the smooth and rich refried beans I ate in Mexico. 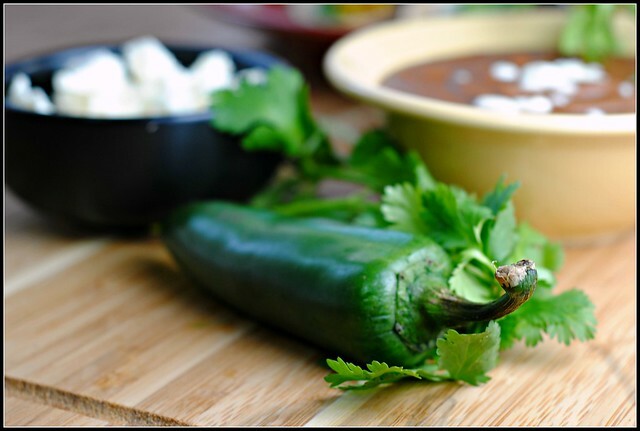 Undoubtedly, those smooth and rich refried beans were that way for a reason…likely in thanks to lard, as they are traditionally made. Note: I removed no liquid and had somewhat thin beans, which is how we prefer them. This will vary from crock pot to crock pot, however. Result: AMAZING and couldn’t be easier to make. The ONLY trick is the necessity for the immersion blender – I don’t see these working without. 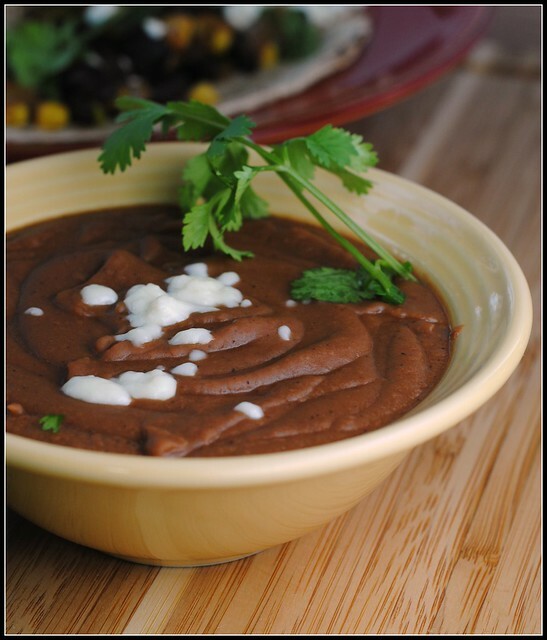 An immersion blender is worth the purchase, though…it makes the best soups…and refried beans! 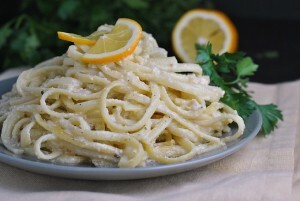 😉 I topped mine with some queso fresco, but going without makes these vegan and only slightly less delicious…they truly are fabulous! Enjoy! And…a very HAPPY 90th Birthday to my Grannie! 90!! These definitely beat Taco Bell’s “pintos and cheese”….one of my all time favorite foods 🙂 Oops, did I admit that?! Might have to get an immersion blender for this one. Or you know, just casually borrow my parents for my own apartment. I feel you on the case of the Sundays. And the decision of whether to switch to decaf after cup #1 of coffee! Sometimes I have to remind myself those little decisions aren’t worthy of anxiety! Hooray for no early morning meetings, and happy birthday to your Grannie! 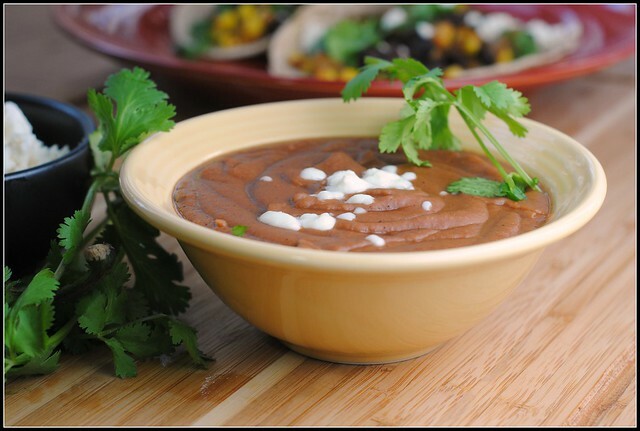 Wow……I’ve never even thought of making refried beans from scratch……how sad. I guess I always thought the can was my only (easy) option. These would’ve gone nicely with the carnitas tacos we made last night. I’m definitely making these! Happy Birthday to Grannie! Yum! Homemade refried beans are 1000x better than anything in can. I will never go back 🙂 Yours look awesome – I gotta try adding jalapenos to mine! Did you know they freeze perfectly too? Bean and Cheese tacos for breakfast with some salsa, make a great breakfast! A common breakfast here in San Antonio. I made these over the weekend and they were delicious! I froze the leftovers in pre-portioned amounts in ziploc bags and I had some for lunch today. Just as delicious! Love the little kick from the jalapeno. Me too! They freeze beautifully! Thanks, Irene! Made these beans today, enjoyed them for dinner. Good stuff and so easy! Gotta love a crock-pot recipe that can go the whole time I am at work (rather than the typical 4-6 hours). Thanks! Anyone ever canned these before? This looks really good. I know you are supposed to boil red kidney beans for 10 min before cooking them in a crock pot due to a toxin that they have. Is this true with pinto beans as well?